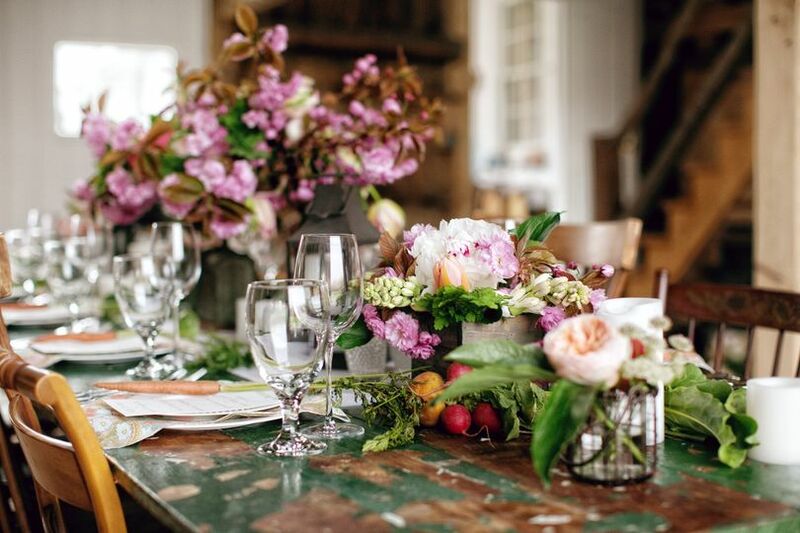 Nestled in Harpswell, Maine, Live Well Farm is a 185 year old farmhouse and barn with all the character and love to give you a wedding experience like no other. 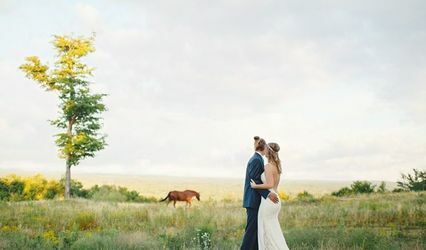 Enchant your guests on 5 private acres; stay overnight with your bridal party in our beautifully renovated farmhouse; enjoy the apple orchard, gazebo and the fire pit; say your vows in the lush ceremony garden; craft your dream reception under a custom tent; dance up a storm in the barn. Begin your marriage on the coast of Maine. Live Well Farm can accommodate up to 11 of the couple's friends and family in our onsite, private farmhouse. 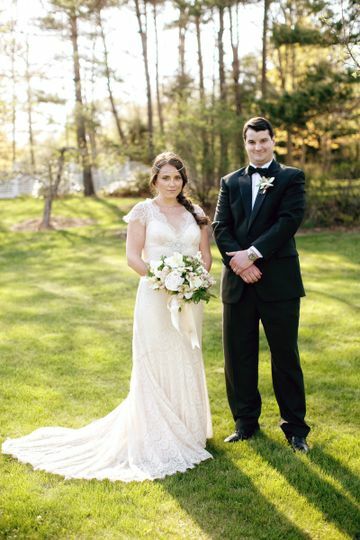 The sweeping lawn and gardens are the perfect backdrop for an idyllic summer wedding and we have a beautiful ceremony garden created specifically for your wedding ceremony. 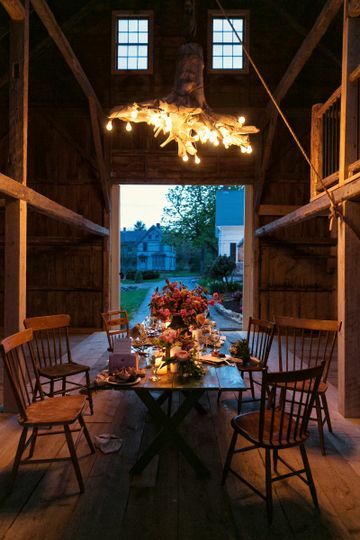 Enjoy dinner under a tent and dance the night away in our beautifully maintained historic barn. Choose between a weekend event rental (the farm is yours Thursday-Sunday), or a 1-day rental (Saturday only). Please visit our website for a complete list of amenities. 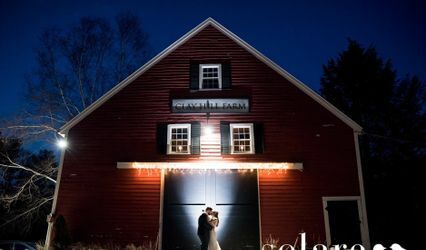 When our daughter (and now son-in-law) announced their engagement in Camden, Maine, a year ago in May, we had hoped they would pick Live Well Farm as their wedding venue. 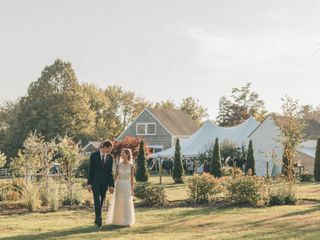 In all transparency in this review, we have known Scott and Patty since college days (too long ago to remember) and knew from attending their son's wedding at Live Well Farm that this is a very special place. It was easy to convince Anna and Cam of the same, and we made plans for a September wedding a year in advance. The whole event was "magical" as our wedding planner, Geneva Wilgus (#genevamwc) wrote in her Instagram post. And that is how we would describe it as well. From our arrival at the farm on Thursday afternoon to our departure on Sunday noon, all of the resources at the farm mixed perfectly with all the people to produce a river of memories in which we are still savoring. The proximity of the farmhouse provides the wedding party and family easy access for setting up, rehearsing, relaxing, games. The hair stylist and make-up artist set up their "salon" in the farmhouse on Saturday morning so the bridesmaids, flower girls, mother of the bride, and (of course) the bride could get ready for the ceremony while watching the events get set up outside. 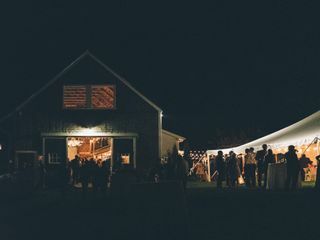 The flow of the events, from the ceremony to the photos, to the reception before dinner, to the dinner under the tent, to the dancing in the barn was seamless. 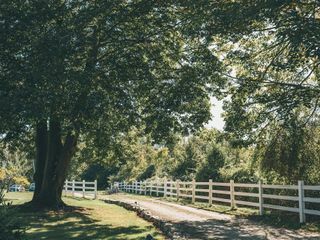 The grounds were perfect for our extended family which included several young children who could enjoy the freedom of running across the fields, picking apples, and delighting in each others' company. The wedding was a blend of the traditional and the casual, with a highlight of the "donut wall" (instead of a traditional cake) that Scott made which displayed 144 Holy Donuts. This was a hit with the guests. Several of the family members stopped by on Sunday morning to help finish the donuts and have a coffee. A perfect ending as we packed up to leave. Thank you Scott and Patty! When my husband and I first went to Live Well Farm for a site visit, I couldn't picture getting married anywhere else. 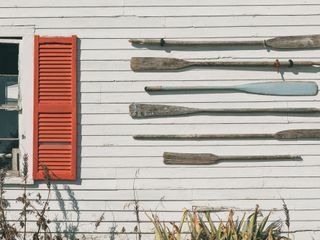 Harpswell has always been a special place for me and my family, but for those who have yet to discover, this hidden gem of a town is well worth the visit if only just to have the pleasure of being at Live Well. 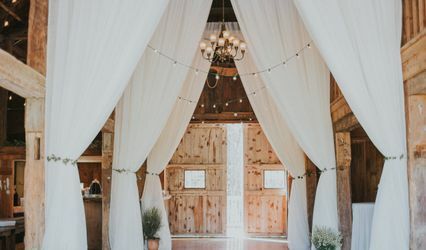 My excitement for our wedding venue only grew throughout my planning process, as every vendor we spoke with was so excited to hear we would be saying "I Do" at LWF. Those who had worked there before were thrilled to return, and those who had yet to work there shared that they had been hoping to get booked for a wedding at Live Well. This really impressed me as it shows just how much time Patty and Scott have invested in building their business and creating such an amazing reputation within the community. We were fortunate to stay at the property from Thursday-Sunday of our wedding weekend. 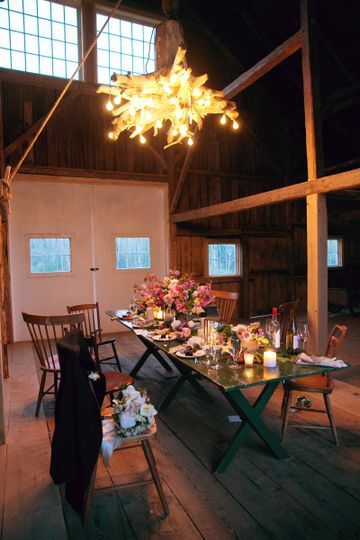 We also were able to have a fantastic rehearsal dinner in the barn so our wedding party had additional time to enjoy the space. Patty and Scott have put considerable thought and love into every inch of their property. 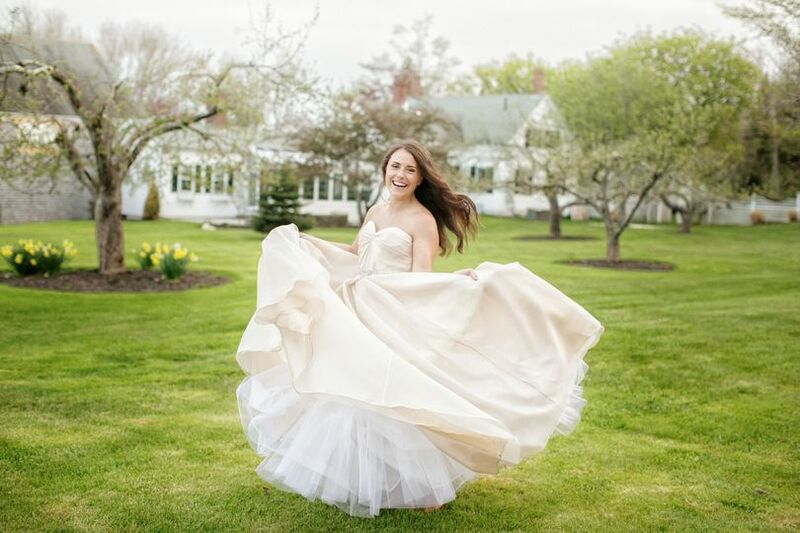 The farmhouse is stunning and makes getting ready and organized before the "big day" a breeze! 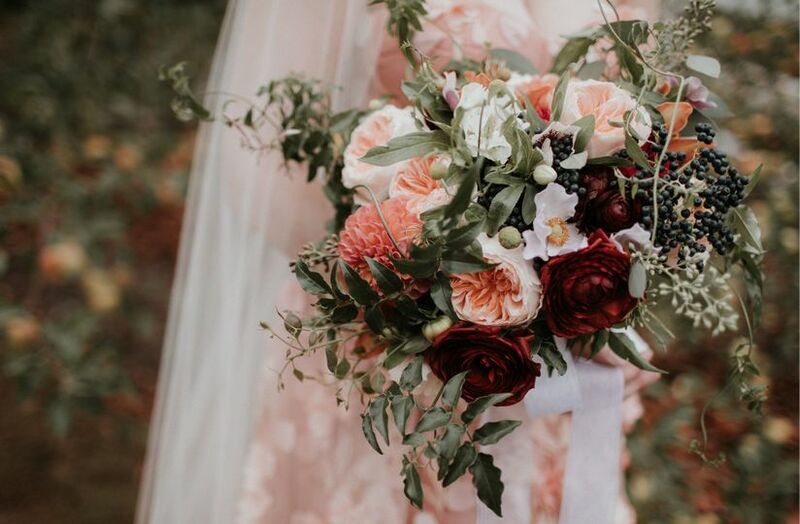 It was amazing to be able to quickly run outside or into the barn to set last-minute things up on Friday and Saturday, using the farmhouse as my "wedding headquarters." 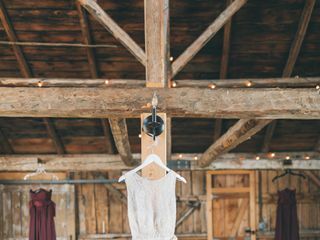 There are so many nice touches throughout the barn and grounds--our guests particularly enjoyed the loft in the barn, the lounge furniture on the back deck, the fire pit, and apple trees. Live Well provides the most stunning background for your wedding photos! Patty and Scott also went out of their way to help us execute our vision--from helping to hang a Haitian flag to honor my husband's heritage, to lending us some tulle as we decorated the outdoor space. We truly had our dream wedding weekend and know a huge part of that is because we picked the perfect venue! Just a quick perspective from a Mother! Truly one of the happiest weekends of my life. The venue is so perfect in many ways as it lends itself to both a casual laid back atmosphere to elegant and everything in between. 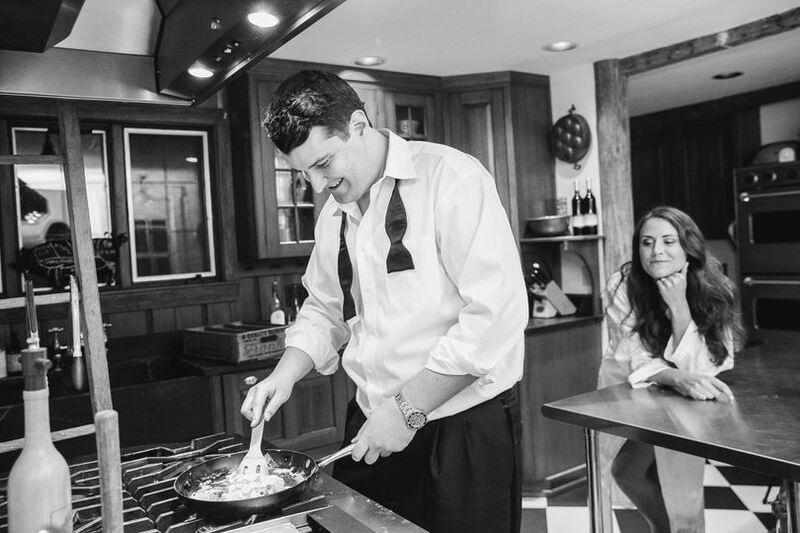 The owners Patty and Scott invest so much energy in making the property perfect and they and other staff know how important the event is to the bride, groom and of course-the parents. They offer support and advice. 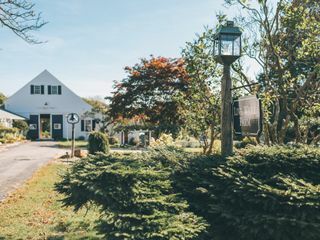 Live Well Farm is a beautiful venue on the coast of Maine with a wonderfully maintained barn full of character and lovely outdoor settings to suit your outdoor wedding desires. We can&apos;t wait to go back! 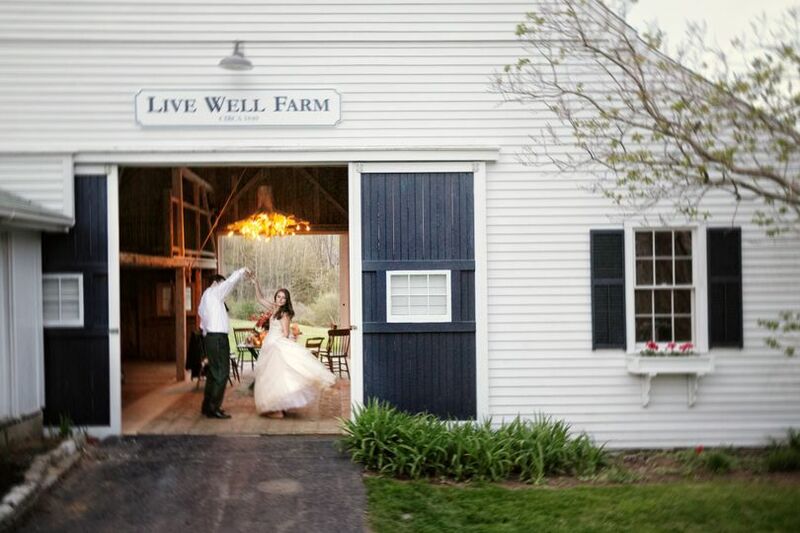 Live Well Farm is a superb venue for couples seeking a rustic farm wedding near the ocean. The owners are professional and easily accessible. 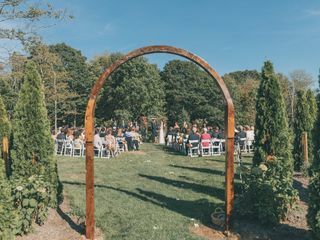 The grounds are beautifully maintained and the barn and outdoor space provide everything needed to host a memorable rustic wedding. 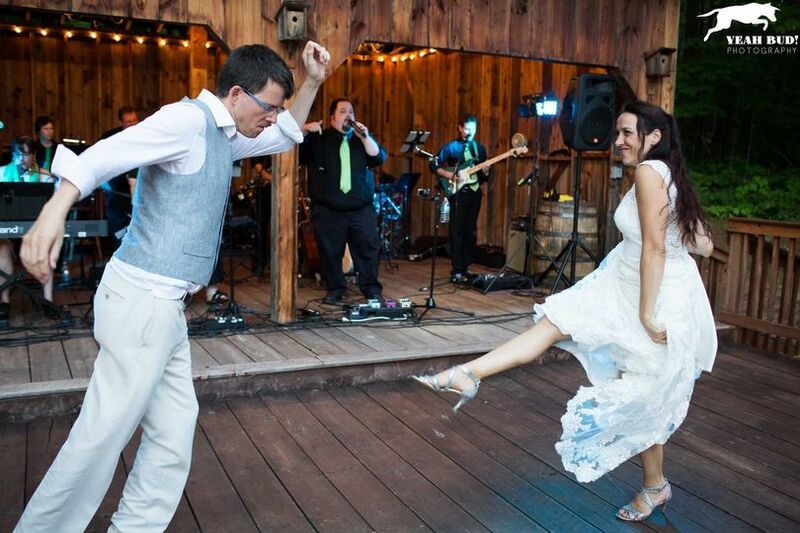 My band New Shades of blue played for a wedding at live well farm and we really enjoyed the beautiful location. Everyone had a great time. It was such a happy occasion and this was made possible in part by the attention to detail that the owners put into making such a beautiful property shine to its full potential. 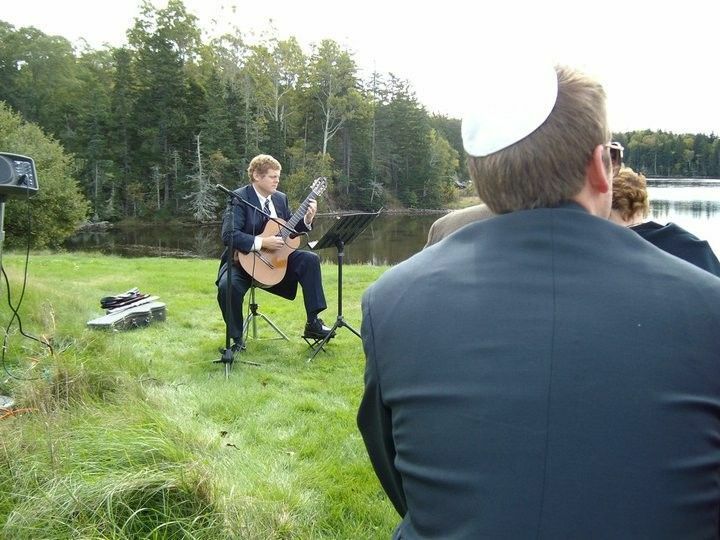 I have played at a lot of venues in Maine and this was among the best. Kudos to you Live Well Farm!